I arrived just in time for the morning show at the “Flight Deck,” featuring a number of birds of prey. This pretty white guy is a sulphur-crested cockatoo. They’re rather large birds, and they’re found in wooded habitats in Australia and New Guinea. 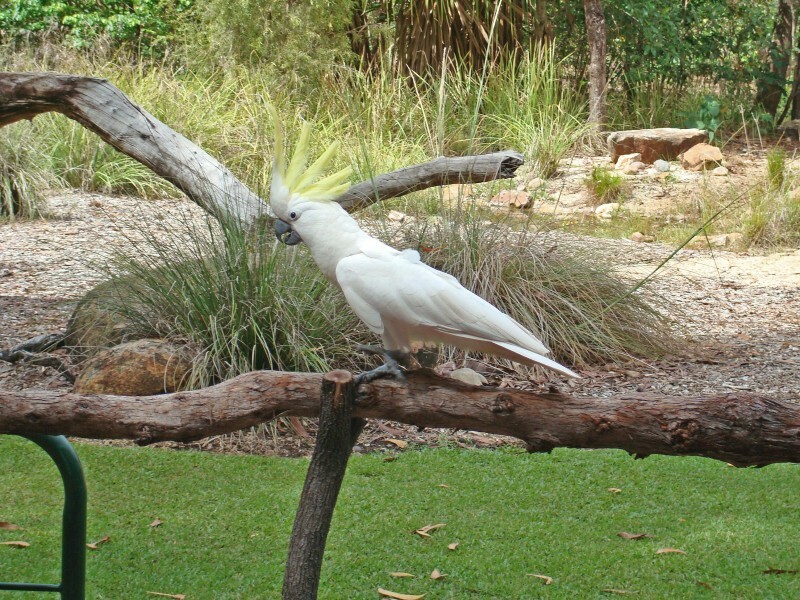 04 Aug This entry was written by Kathy Keating, posted on August 4, 2010 at 10:01 am, filed under Animals, Australia and tagged Animals, Australia, berry springs, birds, kathy keating, northern territory, sulphur-crested cockatoo, territory wildlife park. Bookmark the permalink. Follow any comments here with the RSS feed for this post. Both comments and trackbacks are currently closed.